Cultural areas of North America, according to Alfred Kroeber. 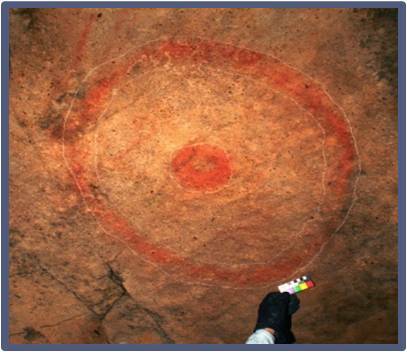 Rock art of the Shoshone from the Coso Range, eastern California, up to 16.000 years old. The anthropomorphic figures with line and circle bodies and heads are characteristic. Source: http://www.bradshawfoundation.com/coso/gallery.php (28.2.13). Cf. Garfinkel et al. 2009; Hildebrandt/McGuire 2008; Maturango Museum N/A.